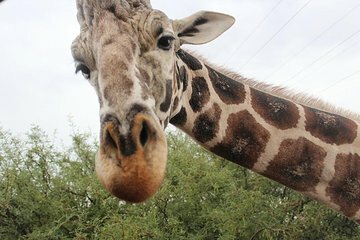 With admission to Out of Africa Wildlife Park in Camp Verde, enjoy a day of spotting African animals in spacious, natural-style habitats. This entry ticket includes access to the African Bush Safari, as well as all shows taking place the day of your visit. Through these activities, along with tours, walks, and observations, the wildlife park strives to both entertain and educate the public about animals, some of whom border on extinction. Wonderful place, and we got close up to some of the animals. The staff were very friendly, and the shows were great. There were other things to do but they were quite expensive. It was a great experience. It was wild and unkempt like their natural habitat. You got up close with the animals. The only negative was paying a further 9.20tax after paying for it on line. Also it was my husband's birthday and he should of got a free entry and calling aviator they said that it did not exist. When I approached reception at out of Africa they said he should of got a free admission but nothing was done about it.